The Laundromat: Takayuki Kubota, December 12th 2009 at the Laundromat. Takayuki Kubota, December 12th 2009 at the Laundromat. La Plus Que Lente, from the Literature series. 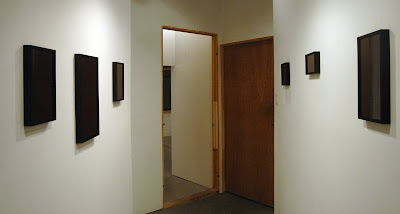 Histories of Art, Installation View. 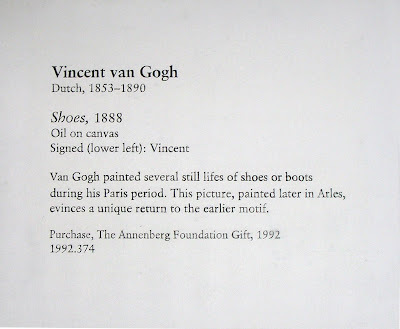 Vincent van Gogh, Shoes. 2009, oil on canvas. 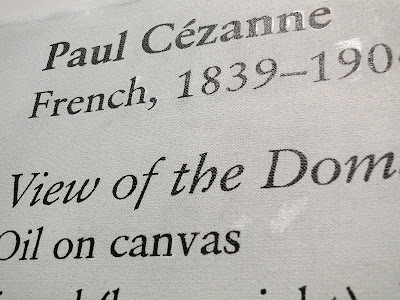 From the series Histories of Art. The Laundromat is pleased to announce an exhibition of works by Japanese artist Takayuki Kubota. Kubota will present two bodies of work at the Laundromat. In one, using tape recordings, the artist creates minimalist-looking objects with contents that exist only in the viewers imagination. In the other, Kubota playfully engages ideas of art history and authorship through paintings of museum labels. 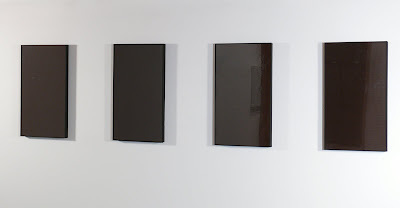 Kubota records sounds on magnetic tape and then mounts the tape horizontally on wood panels. For example, in the Literature series the artist records himself reading aloud from novels such as Oscar Wilde's The Picture of Dorian Gray. 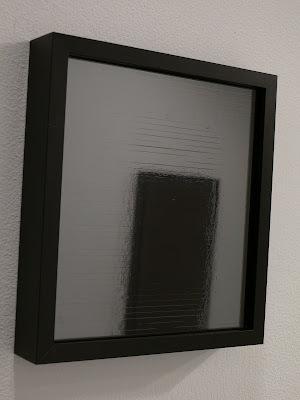 The viewer is given a hint, but must forge his own connection between what is present visually in the panel and what he imagines its audio contents to be. 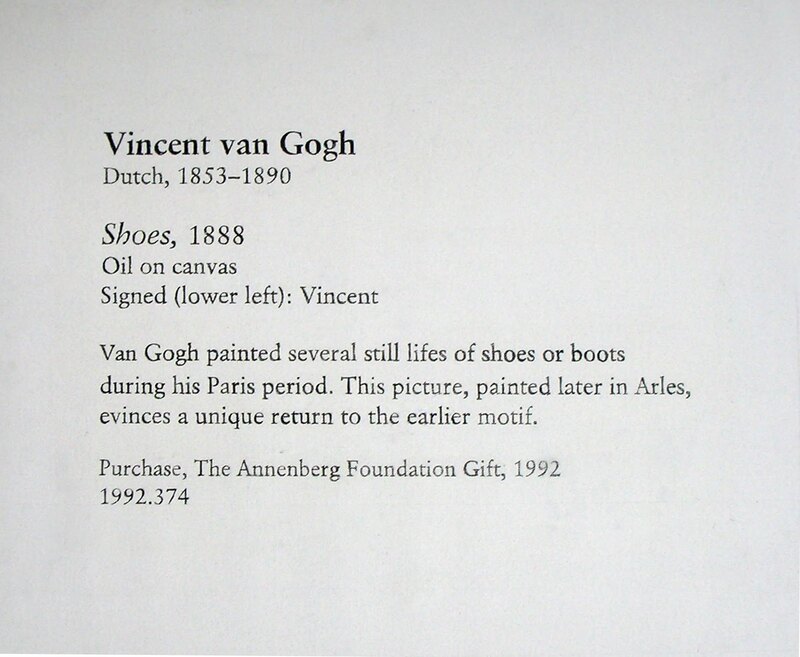 In the series Histories of Art Kubota makes paintings of exhibition labels for famous paintings. 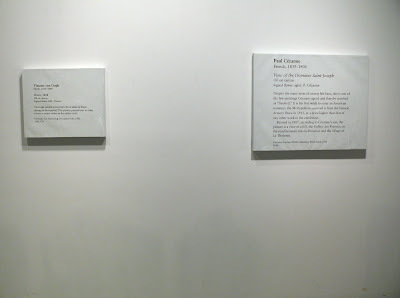 These are the same size as the original works they describe. 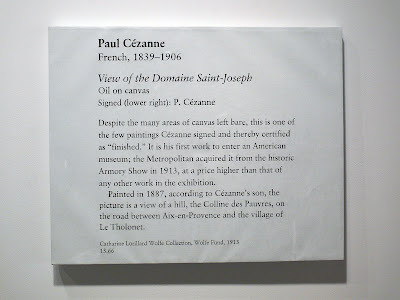 The use of oil on canvas, as well as selecting paintings from famous museums such as MoMA or the Met plays with issues of art historical authority. Takayuki Kubota was born in 1985 in Kobe, Japan and currently lives and works in Tokyo. His interest in art began in early childhood. 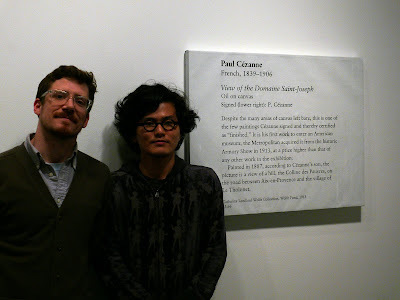 He received a BA in Art and Asian Studies from Temple University, Japan Campus in 2008. His 2006 exhibition at Gallery Q in Tokyo, Noisy Surface, was reviewed by FlashArt magazine in January 2007.